Is it hip to shun BB? While we don't know sales figures just yet for the first BlackBerry 10 smartphone, one issue likely holding consumers at bay is the lack of major app support with the new operating system. As respectable as the Z10 is as an addition to the smartphone market, the OS just can't hold a candle to the wide variety of native apps on both iOS and Android handsets. Even with Facebook, Twitter, and FourSquare on board, the ecosystem doesn't currently have much to offer that its competitors don't do better. To make matters even worse, it looks like BlackBerry 10 won't get a native Instagram app either, adding another reason for consumers to look elsewhere. It's a bit curious that Instagram, which is owned by Facebook, wouldn't see the light of day on BB10 even though the social network was already on board. 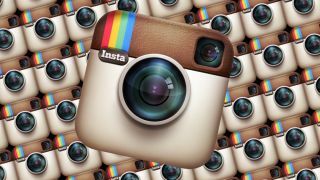 However, sources close to Instagram told AllThingsD there were no plans in place for a native version of the app on BB10, and that they weren't sure it would ever happen. That's not to say a version of Instagram won't be brought to the OS, as the company is apparently working on a port of the Android version of the app. Facebook and Instagram have final say as to whether or not the port is strong enough to be put on BB10 smartphones, meaning there's a chance Instagram may not appear on the OS in any shape or form. BlackBerry and Facebook are reportedly trying to work out the technical issues plaguing the current port of the Android version. However there doesn't appear to be a solution in sight. BlackBerry is already lagging far behind competitors Apple and Google, and the lack of the consumer favorite app could mean bad tidings for the future of the app ecosystem. TechRadar asked Facebook for comment, and will update this story if and when the company can offer any insight into the app conundrum.